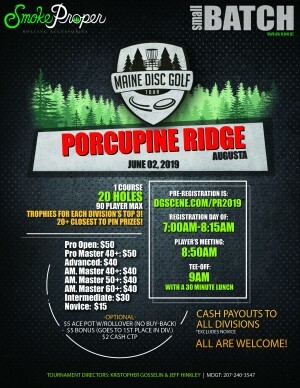 Hello and welcome to The 2019 Maine Disc Golf Tour at Porcupine Ridge Disc Golf! This is the 3rd tour stop of 13 events. 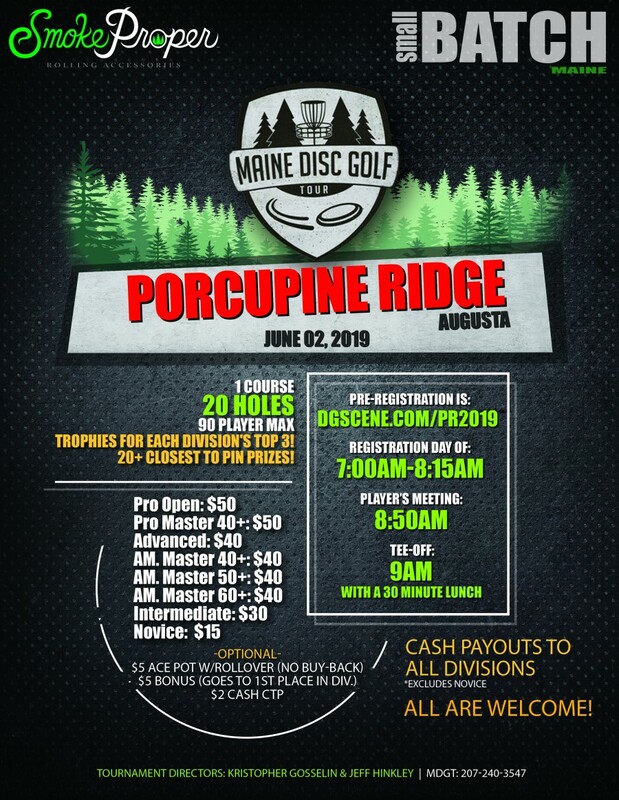 Porcupine Ridge is one of Maine's MUST play courses. Offering multiple tee pads per hole which provide the option to play different layouts. Expect clean lines, some long bombs, and a little wind. Take advantage of the birdie opportunities and you'll be sitting atop the leaderboard.The pro shop is well stocked with Innova and Discraft. Plenty of snacks and beverages. From I-95 take exit 113 and follow RT 3 east. After 2 miles turn left onto Riverside Dr. After 3 miles turn right onto Stevens Rd. At the end of Stevens Rd turn left and Porcupine Ridge will be one half mile on the right. .